By Pension Lawyer Eva Cantarella of Hertz Schram PC on Thursday, August 16, 2018. The National Bureau of Economic Research recently published a working paper that purports to answer this question. [See "The Power of Working Longer," by Gila Bronshtein, Jason Scott, John B. Shoven, and Sita N. Slavov]. With exhausting technical analysis, the authors demonstrate that working longer is a much more powerful strategy for achieving retirement security than saving more. For example, the authors show that delaying retirement by just one year results in an 8% increase in the standard of living, an effect that compounds for delays of two or more years. Moreover, the impact of working longer relative to saving more increases as individuals get closer to retirement. By the same token, saving more does less to improve one's standard of living than working longer the closer one is to retiring. Individuals who are 30 years from retirement and increase their annual retirement savings by one percentage point will receive roughly the same improvement in their standard of living as if they were to work another 3-6 months longer (depending on asset returns). But, persons who are 10 years from retirement and increase their annual retirement savings by one-percentage point receive roughly the same improvement in their standard of living as if they delayed retirement for just one month. 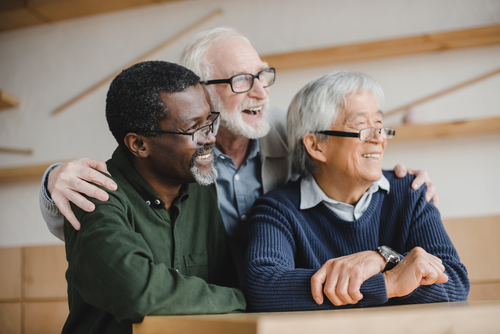 To further quantify the benefits of working longer, the authors demonstrate that retiring at age 66 rather than age 62 increases ones retirement standard of living by about one-third! There are four main reasons for this: (i) most people claim Social Security when they retire; therefore, delaying retirement and delaying Social Security results in higher monthly Social Security benefits; (ii) working longer means additional contributions to one's retirement accounts; (iii) working longer also means additional earnings through compounding on one's retirement accounts; and (iv) the cost of purchasing an annuity later with the funds in one's retirement account is less, meaning the funds will purchase a larger monthly annuity payment. The authors emphasize, however, that the income and savings that result from working longer is only powerful if you both defer commencement of your Social Security benefits and annuitize your 401(k) account balance; that is, convert your 401(k) account balance into an annuity rather than simply taking the lump sum. Bottom line: For most people, working longer is a relatively much more powerful strategy than saving more for improving one's retirement standard of living. This is all the more true for persons who start saving later in life because saving more becomes a less powerful tool as one's career progresses, while delaying retirement remains equally powerful.